As a general rule, the more life goes along the less people move. We go from high volume, varietal, intense and dynamic movers to increasingly lower volume, lower variety, lower intensity movers that are mostly stationary and static beings. While kids move all the time in a hundred different ways and with great intensity and change, adults (even teenagers) move very little, with fewer and fewer movement patterns that aren’t too intense (or have too much intensity) when we do move. Add a few too many hours sitting at a desk, in a car or on a couch and the result is many of our joints and muscles lose their mobility and strength while the body loses its overall ability to do normal things. We go from bodies that are capable of anything and well adjusted to everything to bodies that have become adapted to static and limited posture and are very well adjusted to only a handful of small ranges of motion. When we do ask our body to do normal things it often physically can’t, which means we either just don’t do those things anymore, feel bad acutely while trying (or chronically in general) or worse, injure ourselves trying to do things our body isn’t currently capable of. Every adult I’ve ever met has experienced this to some degree, from minor limitations and irritations to major life altering problems. The long term solution is to move more. In frequency, variety, intensity and dynamics. The short term solution is to start taking better care of ourselves with some simple exercises and stretches. One of my favorites is the the couch stretch. The couch stretch got its name because the couch was the only place people would consistently do this stretch, both from a comfort and convenience perspective. It is designed to be done against a wall (or just about anywhere) but often gets more consistent usage (which is key) when using a couch while watching tv. It takes 4 minutes per side (2 minutes each position), or 8 minutes total, and could be the most beneficial 10 minutes you give yourself all day. Hang out here (or whatever stage you stopped at) for two minutes. 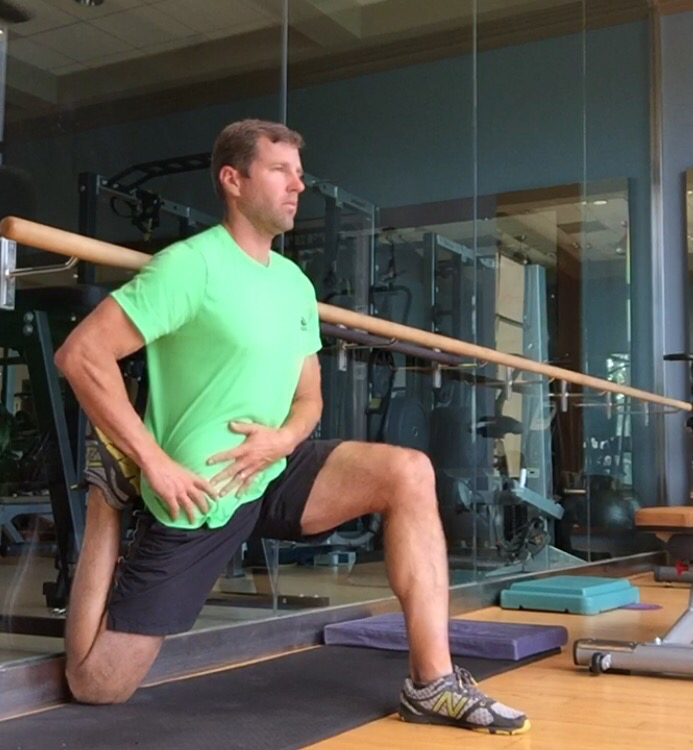 You should feel a deep stretch in the front of your down (kneeling) leg, ranging anywhere from the knee all the way to the hip, depending on where you are most tight. 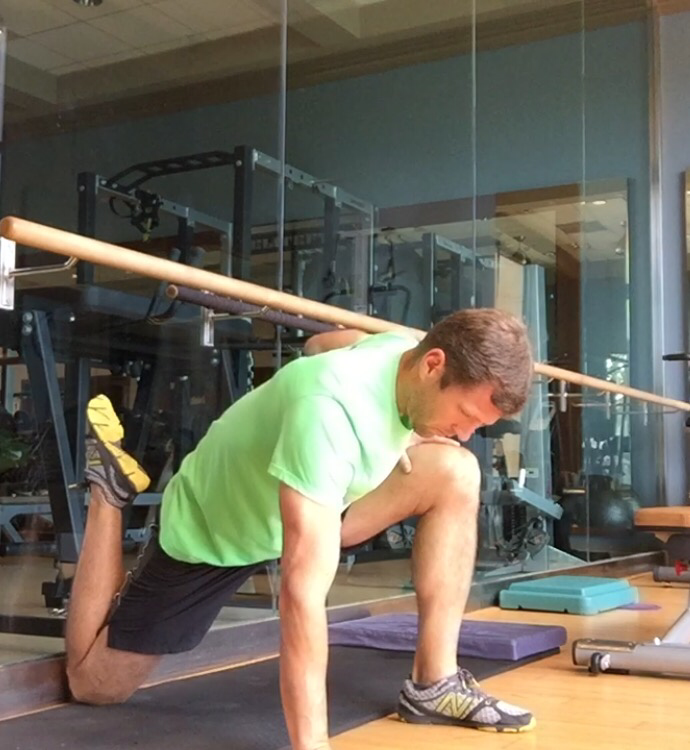 The more flexible your legs the higher up you’ll feel the stretch toward your hip. 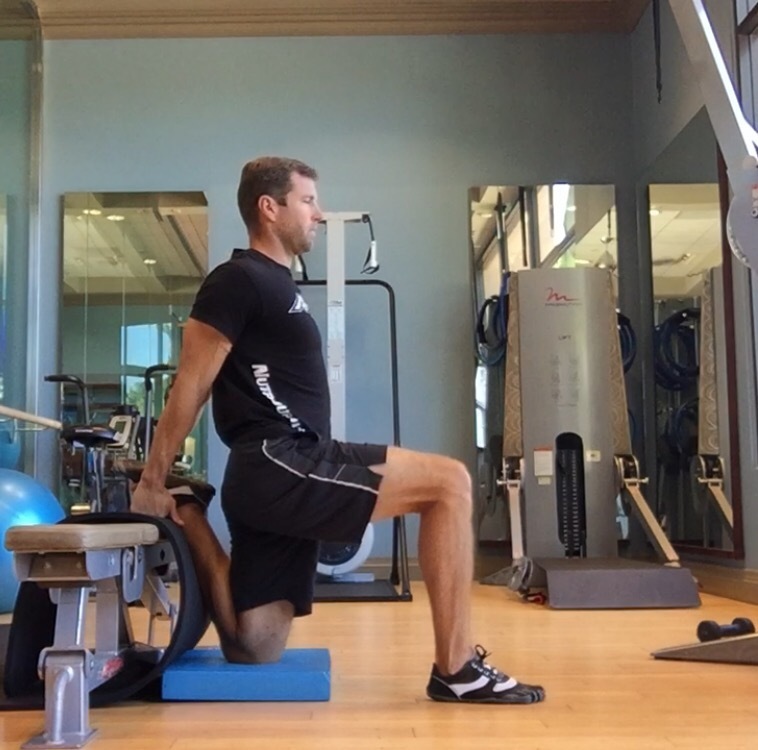 The goal is to push the hips forward past neutral while keeping the back straight, however most people can’t the first time. Find the point at which you feel a good stretch and stop there. Hang in there for two more minutes. Switch sides and repeat for another 4 minutes, 2 each stage. Do this every night and in a week or two your hips, back and legs will be dramatically looser. 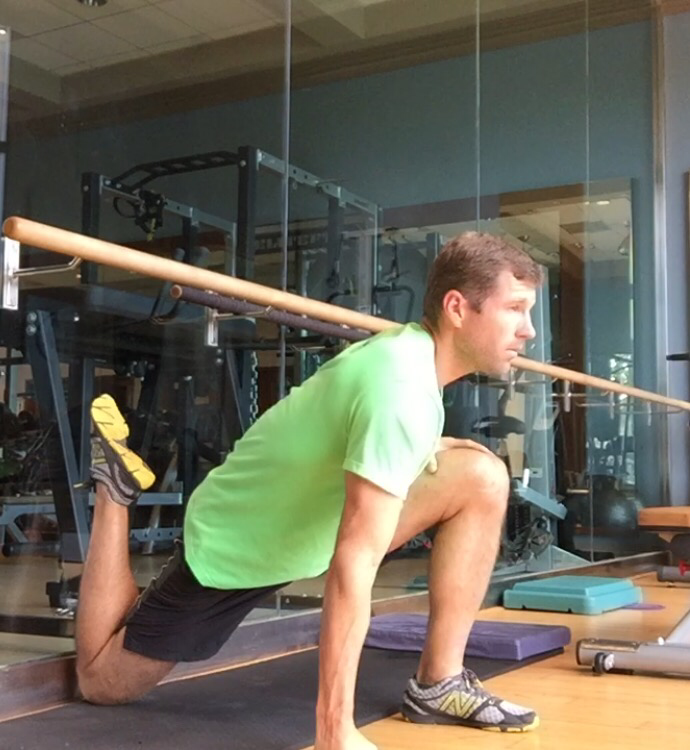 I see people on a regular basis who come in with a little back tightness or knee pain that “magically disappears” after this stretch. It’s not magic, it’s just relieving some muscle tension that’s pulling on the back or knee and causing pain. 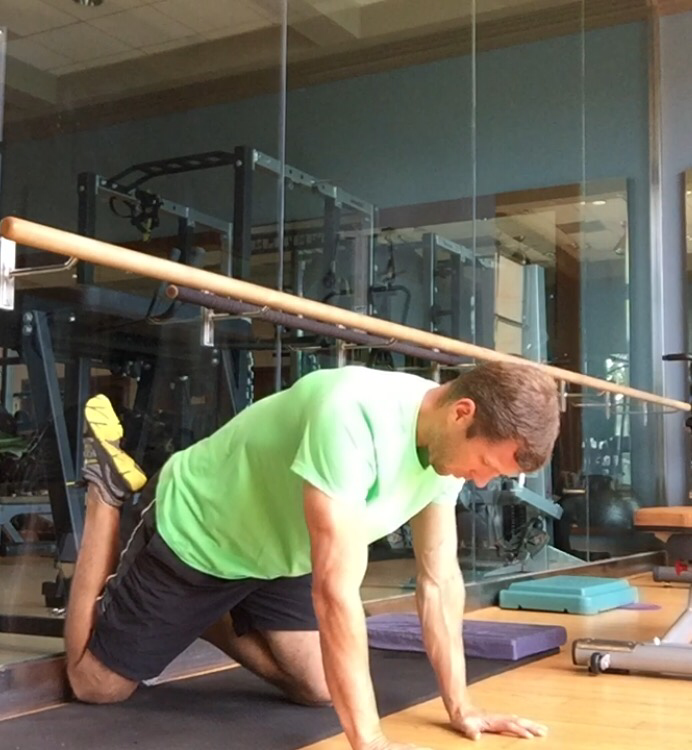 The couch stretch is not going to fix everyone and everything but it helps almost everyone I have suggested it to, particularly when done regularly and with attention to the details of the sequence and body position. 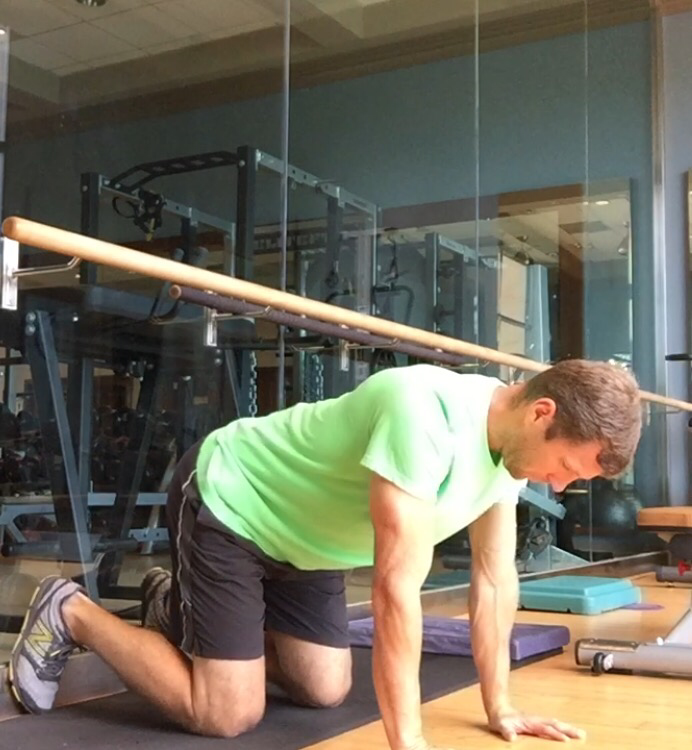 It’s one of the few stretches I do regularly and is the most recommended stretch I give out. Give it a shot and let me know how it feels. Spend another 2 minutes there and then repeat on the other side. 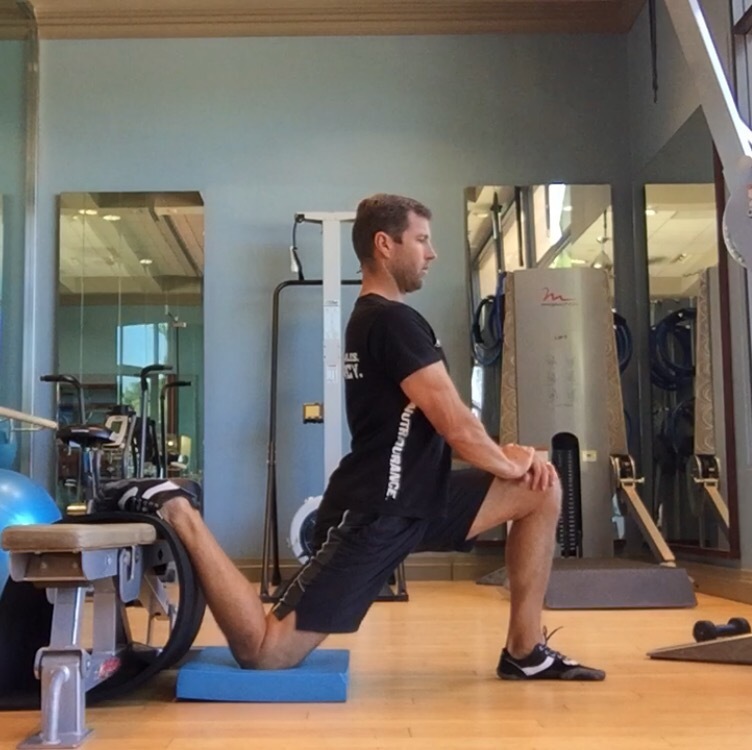 One of my favorite stretches. If your back is a problem, this might be one of the best ways you can help straighten things out.